That, of course, is the Parthenon in the distance, behind these handsome young men and women. 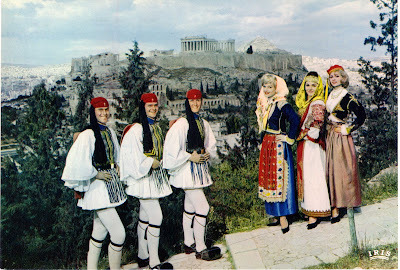 "Hellenic" is a synonym for "Greek". If you're interested, more on traditional Hellenic dresses can be found here and here. Don't you have better postcards than this?